WARNING: This product can expose you to Tris(2,3-dibromopropyl)phosphate a chemical known to the State of California to cause Cancer. For more information go to www.P65Warnings.ca.gov. 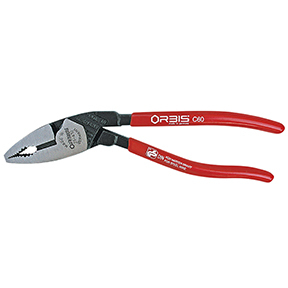 Knipex KNT-8801250Knipex Alligator® Adjustable Gripping Pliers - 10"
Knipex KNT-8801300Knipex Alligator® Adjustable Gripping Pliers - 12"
Knipex KNT-7131250Knipex Bolt Cutter W/ Notch, 10"
Knipex KNT-7101250Knipex Cobolt Cutter, 10"
Knipex KNT-8701300Knipex Cobra® Adjustable Gripping Pliers - 12"